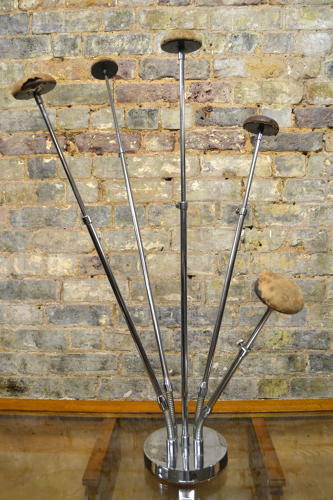 This is a very rare and hard to find hatstand in original condition. It's in Art Deco style and made of chrome. All five arms are fully adjustable independantly and have fabric covered tops. We also have a smaller version with three arms.